We invited blogger, Anje Rautenbach of Going Somewhere Slowly to spend 24 hours with us in the Karoo Heartland village of Jansenville. Below, she shares her adventure with us. 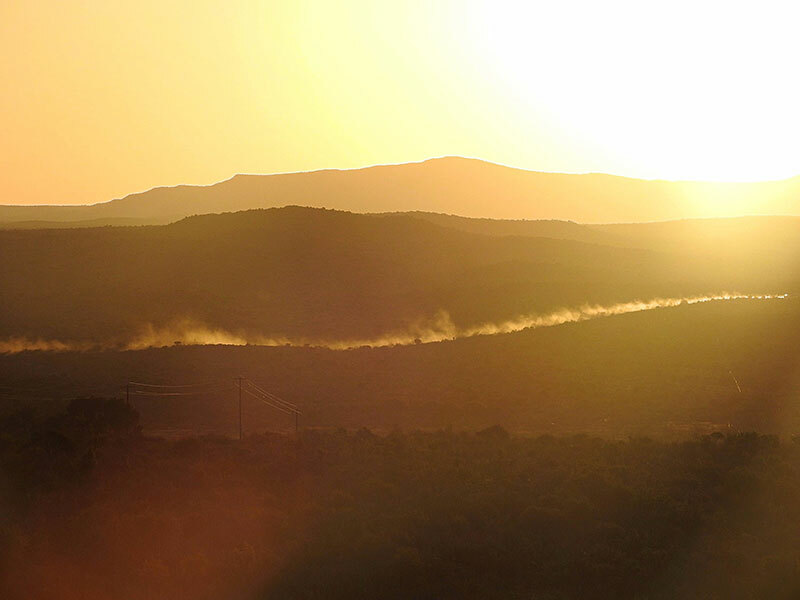 Atop the gentle slope of a hill in the Karoo Heartland I hit the pause button on life as the sun is in the process of its final curtain call over Jansenville. 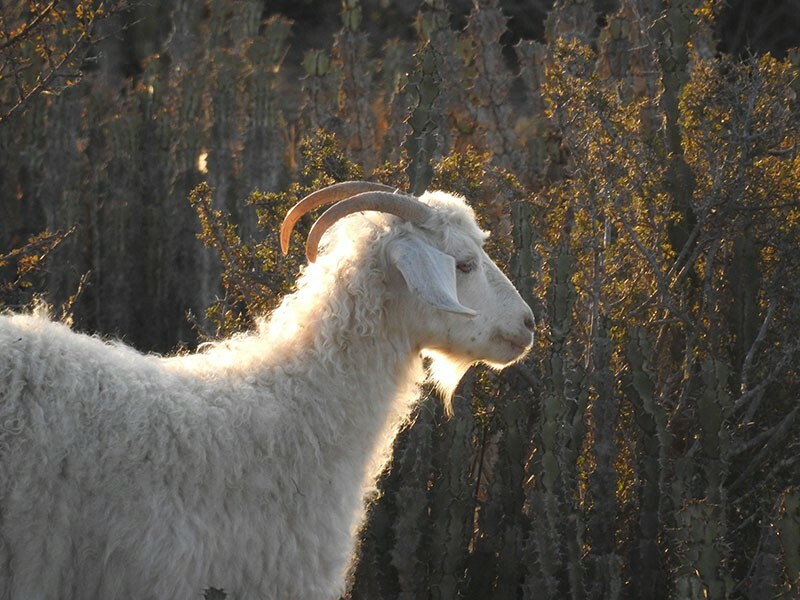 Surrounded by a 360-degree view of wide open spaces I take it at all; a 116-year-old stone structure packed with precision rests guarded behind me while the angora goats graze below with golden rays lighting up their pearly white curls. 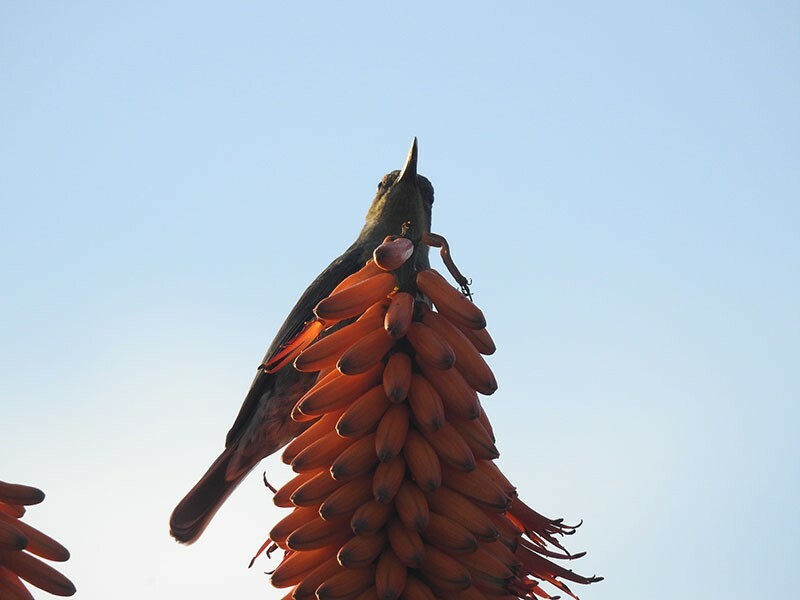 Under my feet the semi-arid Karoo soil nurses the Noorsveld into shrubs and succulents of green noors rockets while a sugar bird wiggles its beak into a bright orange aloe flower reaching for the sky. In the distance a farmer kicks up a trail of dust on a road less explored, to my right a camera captures the serenity one click at a time and to my left a family peeks over the edge of the hill to their town beneath as the sun dips behind a sea of mountains. I pause a bit longer; I’ve driven through Jansenville numerous times, I’ve had coffee here and filled the car up with petrol, but it took one sunset, atop a hill with an old Anglo Boer War Fort behind me, to realise that Jansenville is more than just a pit stop, it is a town to be experienced. 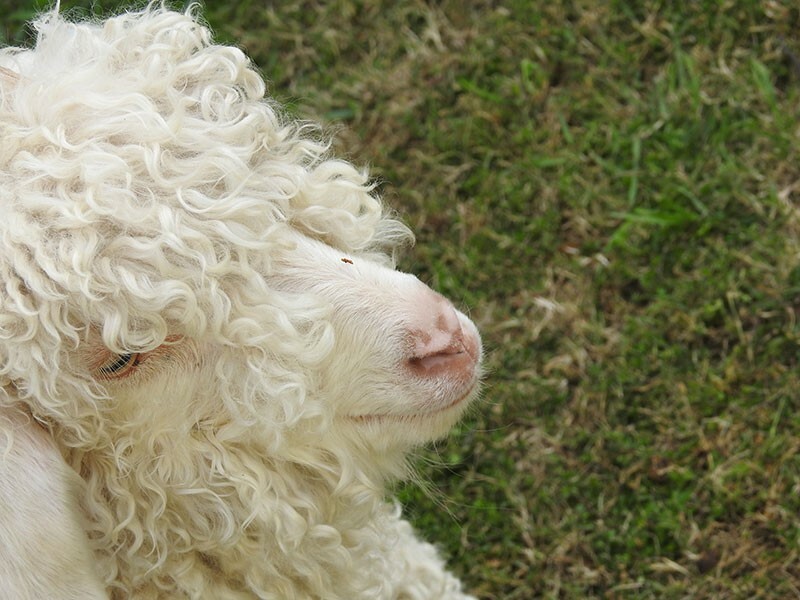 The South African mohair industry boomed ever since the first Angora goats were introduced to South Africa in 1838 from Turkey; today South Africa produces more than half of the total world production and a great majority of mohair originates from the Eastern Cape and Jansenville in particular. 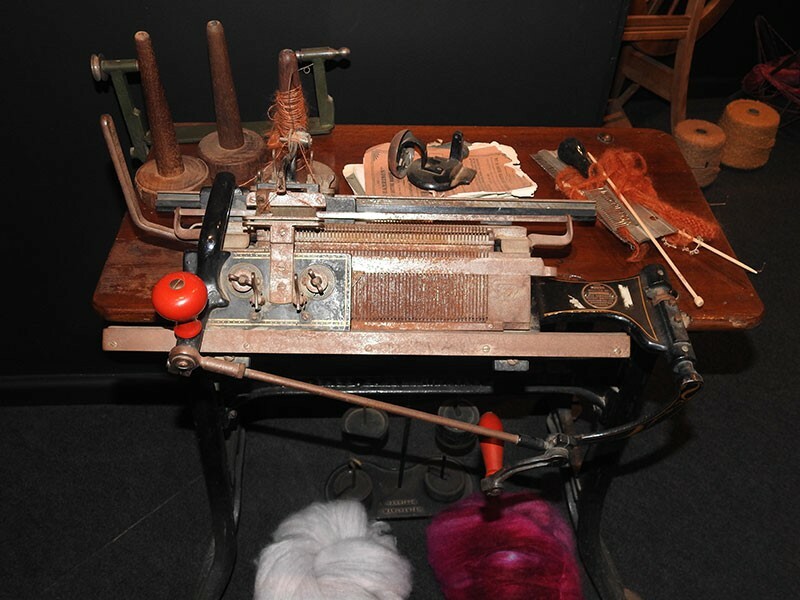 Visitors can visit the International Mohair Museum to learn more about the history and the process from shearing to product. There is also a shop selling mohair goods at the museum. 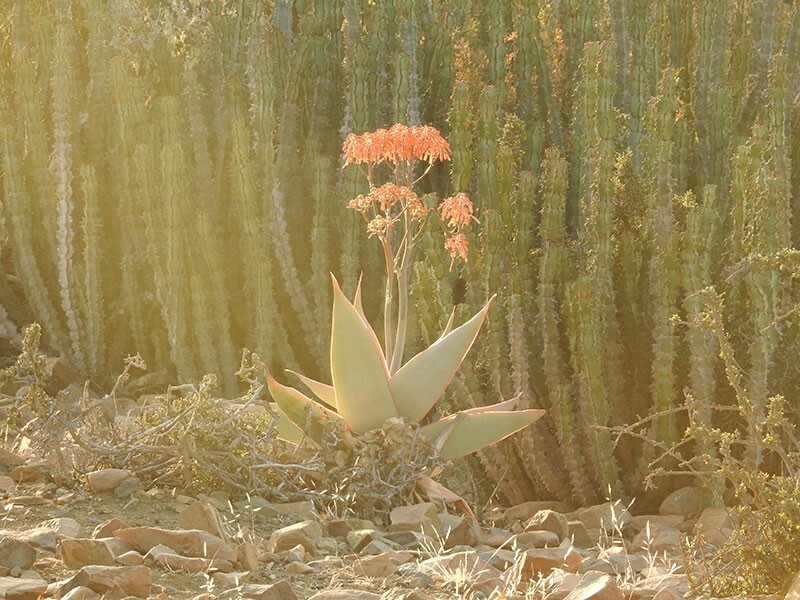 Farm stalls are usually the heartbeat of any Karoo town and Ark in the Karoo is no different. 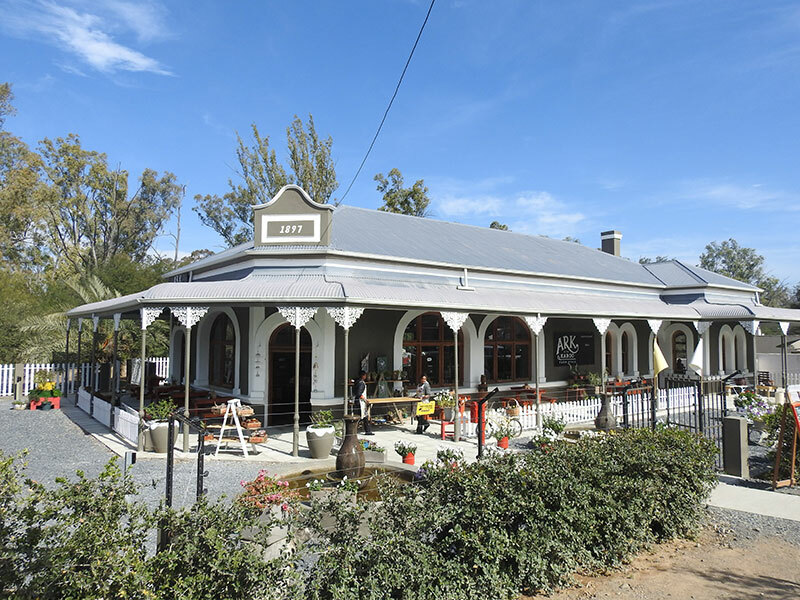 This recent addition to the town is situated in one of the oldest buildings in Jansenville that dates back to 1897 and carries Karoo hospitality from farm to table with a menu filled with artisanal treats and a great selection of local products from biltong, to homemade rusks and even art. The yellow 1940-art-deco house greets you as enter Jansenville and it used to be the home of Mayor Sid Fourie. 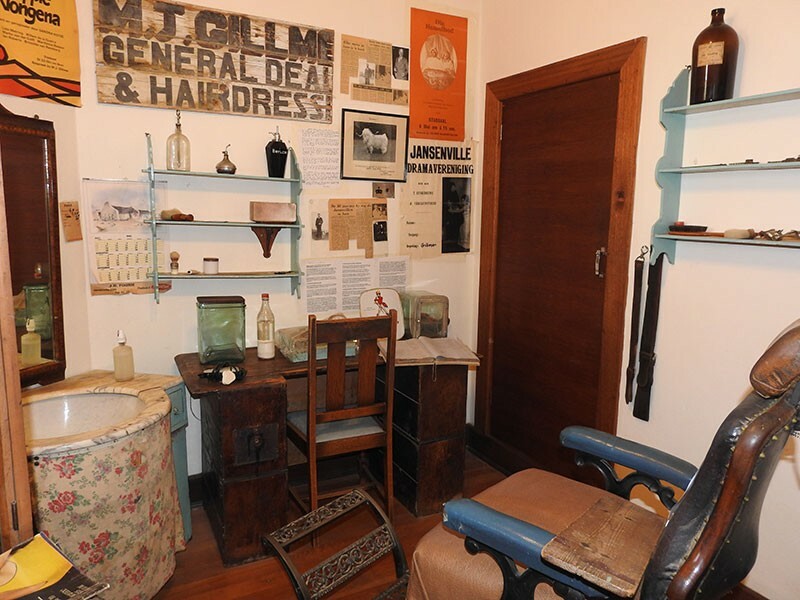 While the bedroom, working desk and other trinkets from Mayor Fourie can still be viewed, the house also contains numerous historical pieces and a hall of fame dedicated to Jansenville’s achievers and pioneers from all walks of life. Back in the day (and still possibly now) Karoo towns, and its communities, usually developed from and evolved around the Victorian churches with its intricate details of spiral tops, large, carved wooden doors, impressive pipe organs, a clock, bell tower and a few pigeons. Jansenville’s Dutch Reformed Church dates back to 1881 and holds the Dutch family Bible of Sid Fourie (rumoured to be the oldest bible of its kind in South Africa) in a glass case. 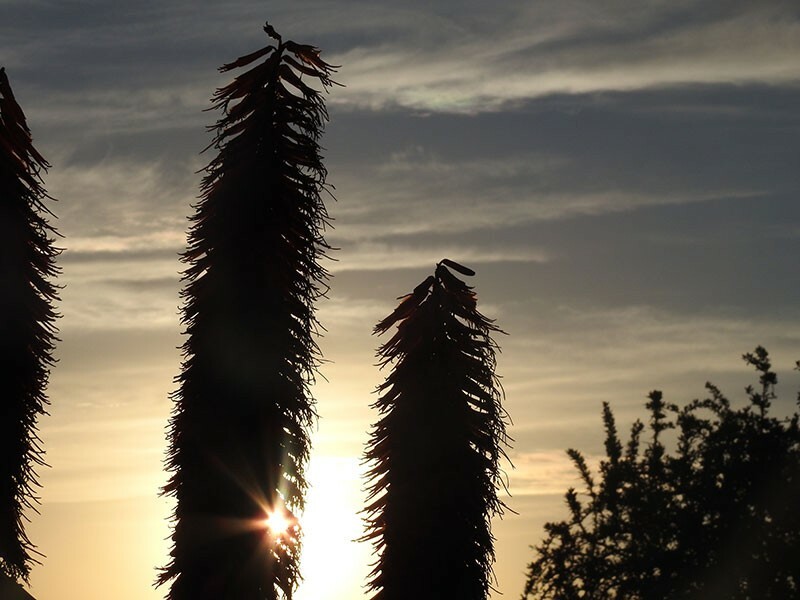 Many Jansenvillers will proudly proclaim that their town is home to the best sunsets and after witnessing how the sun caressed the Noorsveld at dusk, how the wide open spaces became a golden playground with sparkling angora goats, it is hard to argue with that sentiment. Go up to the Anglo Boer Fort for a 360-degree sunset view. The Anglo Boer Fort sits atop a hill on the west side of the Graaf-Reinet road on the north of the town and besides its historical value it also offers one of the best views of Jansenville and you can see for kilometers and kilometers in all directions. 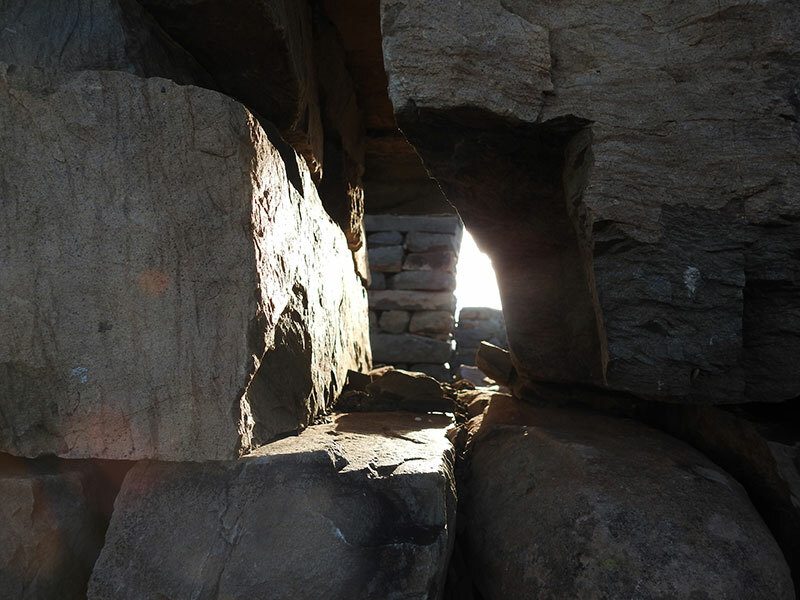 The rock structure, with its several doorways, well-planned crenelles and also rooms, which could have served as shelter during the time of the Anglo Boer War, can be viewed by appointment. Karoo towns are best explored on foot. 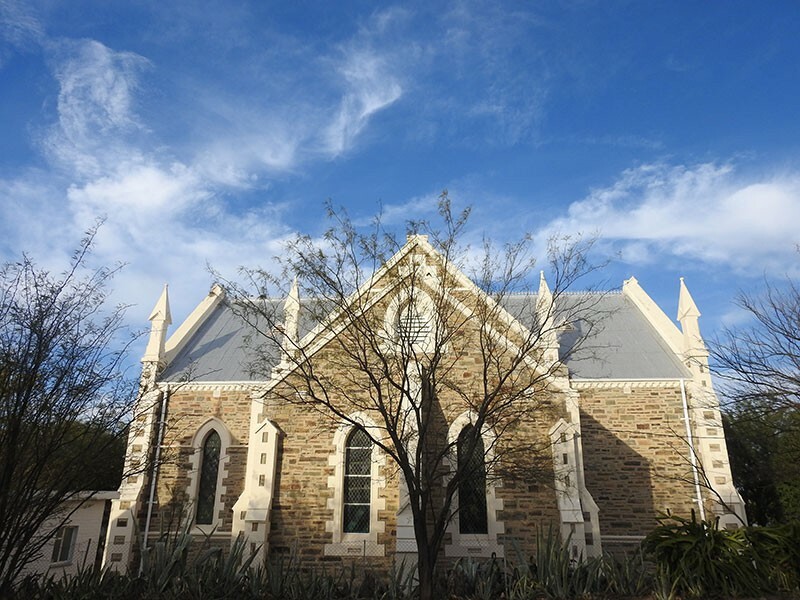 Stroll around Jansenville and discover the nooks and crannies of this Karoo Heartland town, from the church to the town hall, the general dealer to the roadhouse, the coffee shop to the antique store. 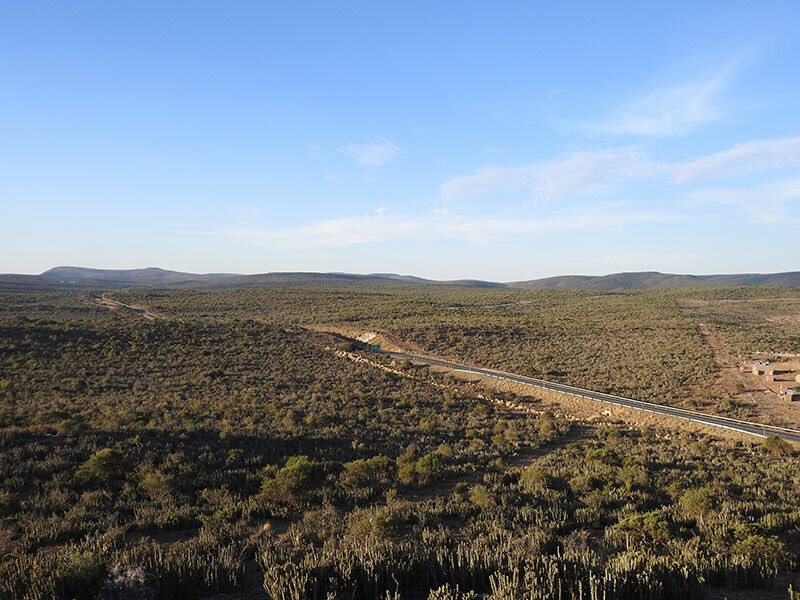 If there is one thing that locals, visitors and first timers to the Karoo all agree on then it is that a day in the Karoo is not complete without spending a night in the Karoo; thanks to the remoteness of the town the cosmos turns into a glittering stargazing mecca when the night settles in. 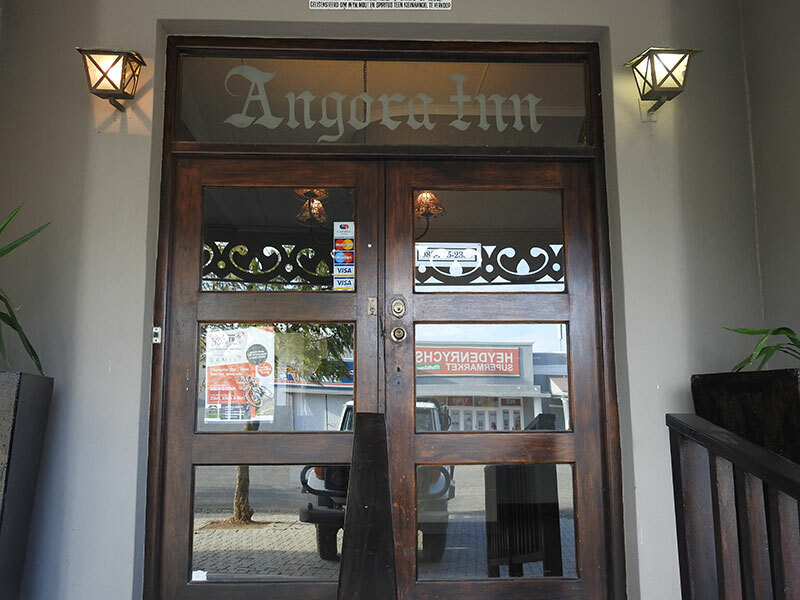 Complete your visit to Jansenville with a farm stay in the area or stay at the Angora Lodge which is also home to the best ribs in town, complete with a bar, swimming pool, braai area and pool tables for guests to enjoy. 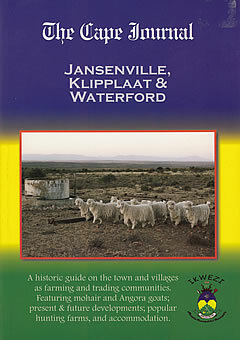 Jansenville is more than just a pit stop, it is a town to be experienced.